Posted June 24, 2014 by Emily Adams . How many emails do you write in a day? Dozens? Hundreds? Email has become a vital part of communication, especially for professionals. If you have a thought to share with a friend, a question to ask a colleague, or a suggestion to offer a client, chances are you will pull open your email and write a quick note. But wait – before you can press send, you have to add a subject line! Too often the subject line of an email is an afterthought, added once the message is already written and just before pressing send. But this small phrase has a big impact – the subject line often determines whether the email is opened, and how quickly the recipient responds. According to Jay Baer with Convince & Convert, 35% of email recipients open email based on the subject line alone. Write the subject line first. This guarantees that you don’t forget it! An email without a subject is likely to be ignored, and eventually lost in a full inbox. 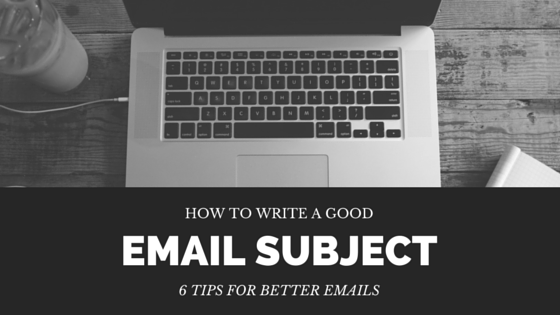 Writing the subject line first can also help you organize the email that follows. By establishing your subject first, you can keep your message on topic. State the topic of the email. This seems obvious, but believe it or not, irrelevant subject lines are a common problem. Keep in mind that the subject is the first thing a reader will see when they receive your email. If they can’t quickly and easily identify the topic that the email relates to, they are more likely to ignore it. A clear subject can help the reader prioritize the email and know whether they need to read it right away or if it can wait for later. Put the most important information first. Keep it short, keeping in mind how a typical inbox displays your subject line. Especially with more and more people using their phone and mobile devices to keep up with email, the space available for your subject is getting smaller. According to Business Insider, a typical inbox reveals about 60 characters, but a mobile phone shows only 25. Put the most important information fist so you know it will be visible. Also consider the first line of your email body – inboxes will often display the first few words of that content as well. Make the email searchable. Try to include topic related keywords that will make it easy for the recipient to search for the email in their inbox at a later date if they need to refer back to the content or respond later. Some email providers also offer filtering options to help keep your inbox organized, which is commonly used by professionals. If your subject has a clear keyword that indicates your topic, it will help the reader to categorize, filter, and search for the email within their inbox. Avoid SPAM filters. When you are sending marketing emails to your customer lists, you want to be sure your message makes it into their inbox. Avoid using ALL CAPS and excessive special characters in your subject line, as these often trigger spam flags. Also avoid promotional phrases focused on money (FREE, money-back, save X%). Don’t rely exclusively on “spam words” lists available online – most email providers are constantly updating their spam filters to be more effective, and these lists become dated quickly. Instead, follow this best practices guide and write a good subject! Read, and read again! Before you press send, reread your subject line. This will give you one more opportunity to refine your subject, and catch any embarrassing typos or mistakes before hitting the recipient’s inbox. Especially if you are sending similar emails to multiple people, check for copy and paste errors. Don’t forget to tailor the subject to the individual recipient – don’t let someone else’s information carry over into the next email. A good email subject line can get your email noticed! It will help the reader prioritize and organize your message, quickly identify the topic, and see the most important information before they even open your email. Practicing these simple tips can help you to be a better communicator with other professionals, colleagues, friends, and clients. 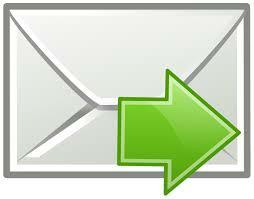 To learn more about email marketing with Automated Marketing Group, contact us at 303-703-8000!